Hostel da Praça v Santa Maria da Feira, Portugalsko: Zarezervujte nyní! 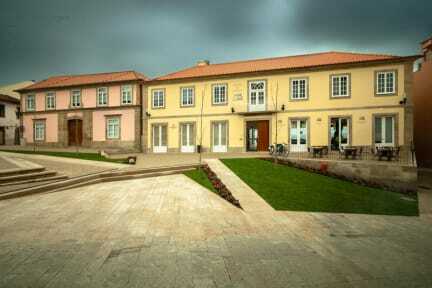 Located in the historical center of Santa Maria da Feira, Hostel da Praça offers you a leisure or business stay, combined with cultural offer and nightlife for moments of relaxation. Event room prepared to host companies, conferences, meetings or shows, and is also ideal for the celebration of private ceremonies or parties, and is endowed with a terrace open to the public. Use our shared kitchen open to the general public. Hostel da Praça Policies & Conditions. American Express are not accepted for the payment on arrival. The breakfast is only included for the Private Suite not for the shared doorms.